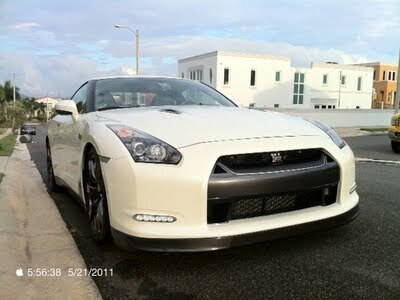 Chris posted up a couple pictures of a car with the 2012 LED lights integrated into the CBA GT-R bumper. 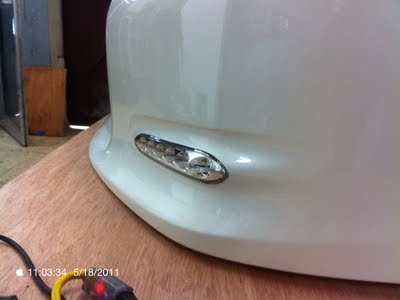 In addition to the lights, they also added the extra cutouts near the top of the grill to allow more airflow to the airbox. So what do you think, yea, or nay?